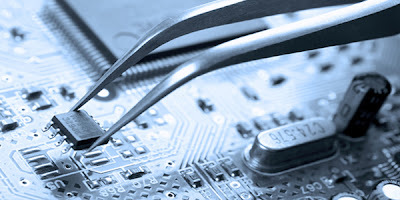 Retronix Ltd.: Retronix 'IC Rescue' process helps maximise returns for a service repair company. Retronix 'IC Rescue' process helps maximise returns for a service repair company. A service company that specialised in field repairs of telecommunication systems had a large quantity of spare PCBs, all brand new, that they bought in order to carry out repairs on systems. The product turned out to be far more reliable than estimated, and the product did not sell in the volumes expected. The end result was that the service company ended up with a large quantity of brand new PCBs they had no use for, and there was no obvious external market. Using Retronix’s “IC Rescue” process, the PCBs were stripped of valuable ICs, which were then offered to the market as 100% genuine, zero hours use ICs which were safely recovered from brand new PCBs. These were either utilised on other PCBs which used the same chips, or sold on the general market to other companies, who knew they were recovered but also knew it was done with zero reflows and were from brand a new certified product. This allowed the service company to maximise their return on this product which otherwise would have returned no value, other than precious metal recovery.